Plant Gallery / m / Make Your Own Terraium Hard Goods KitPlease view our current availability for specs. 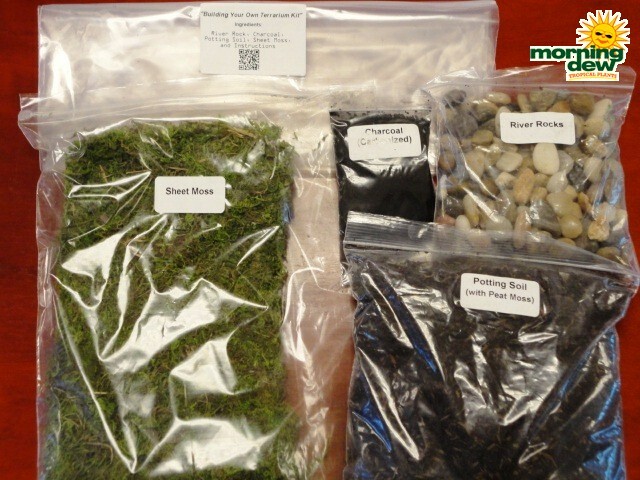 Includes Sheet Moss, Potting Soil, River Rocks, Charcoal (activated carbon) and instructions. Makes 2 8 in X 8 in Terrariums. Perfect for retail sale !